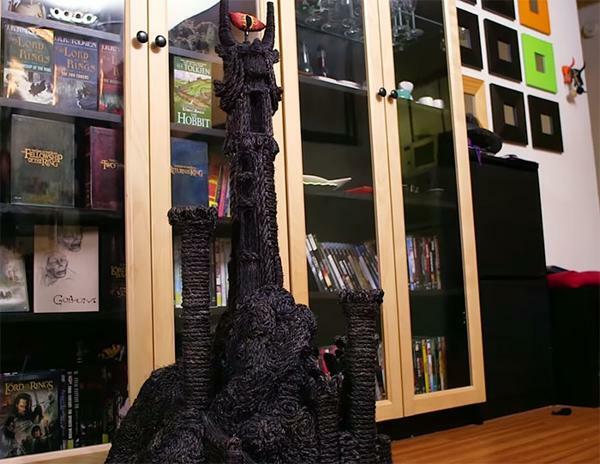 Hollywood prop maker Tim Baker and his team build an amazing Hobbit-hole litter box and Tower of Sauron, creative pet furniture pieces that delight all fans and their pets. 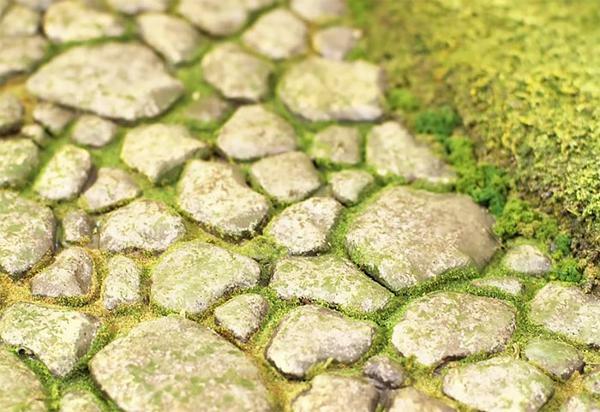 The litter box and scratching post look spectacular, colorful and realistic, allowing cats to do their business in Middle-earth. Lushome presents these original and unique pet furniture design ideas to fans around the world. 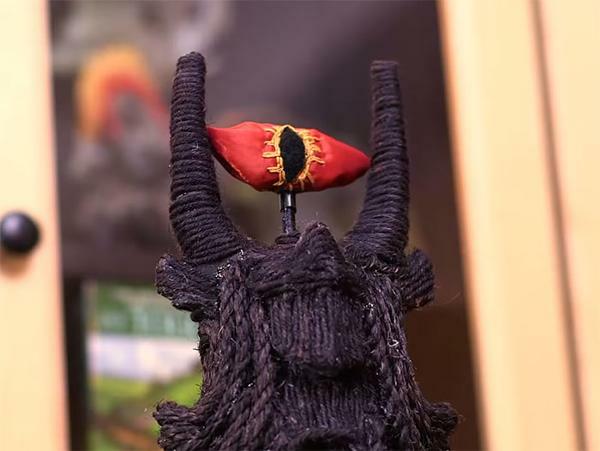 The incredible Hobbit-Hole litter box and Tower of Sauron cat scratching post are inspiring artworks which provide great ideas for DIY furniture design enthusiasts. 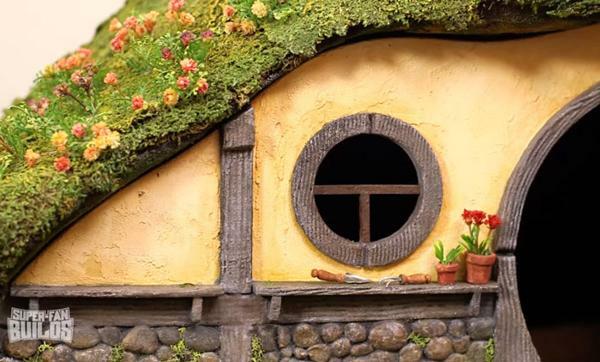 The Hobbit-hole is covered with lush greenery and has a stone walkway leading up to the round door. 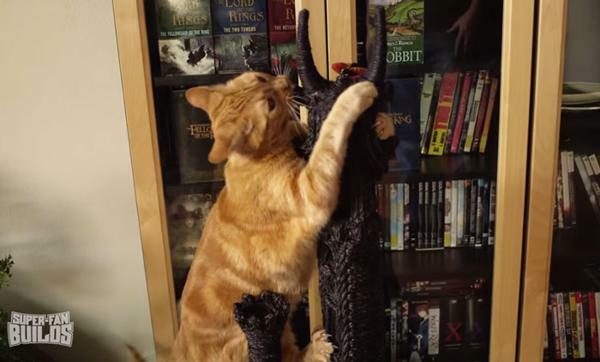 The Tower of Sauron is a unique cat scratching post, painted black, offering a comfortable place for kitties to play and scratch while adding strong character to the room. 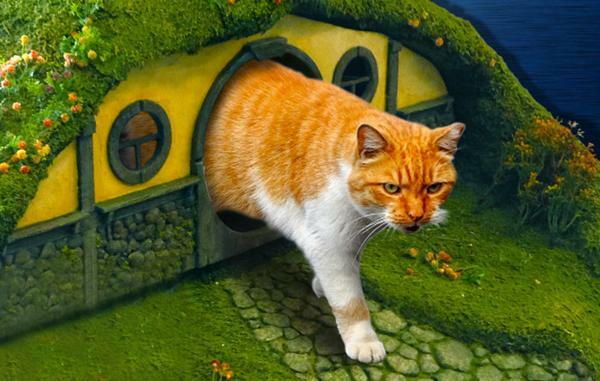 The prop designers beautifully conceptualized and built the kitty complex, creating the original litter box and cat scratching post inspired by the Lord of the rings theme. 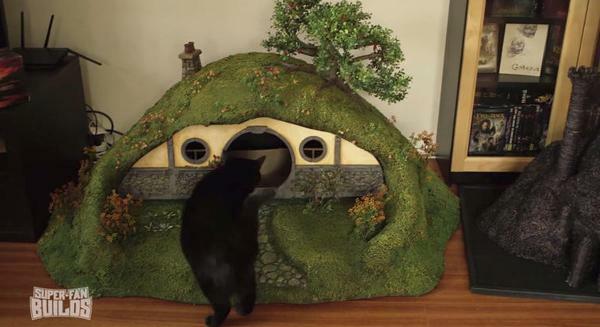 The Hobbit-hole and Kitty Tower of Sauron are functional pet furniture pieces, that look playful and show original design. These pet furniture can make any cats and their owners excited and happy.